Despite one of the Rio Grande Valley Democratic congressmen opposing her, Nancy Pelosi received her colleagues’ nomination for House Speaker during the caucus’ meetings on Wednesday, but she was well short of the threshold needed during formal votes in January to reclaim the speaker’s gavel. Pelosi won the support of 203 House Democrats on Wednesday. She will need 218 votes in January to become Speaker. One of the 32 dissenters included U.S. Rep. Filemon Vela, D-Brownsville, who has cited Pelosi’s deal with Republicans earlier this year that allowed for $1.6 billion for border wall funding as a primary reason he opposes Pelosi. Vela has also said it’s time for fresh leadership. 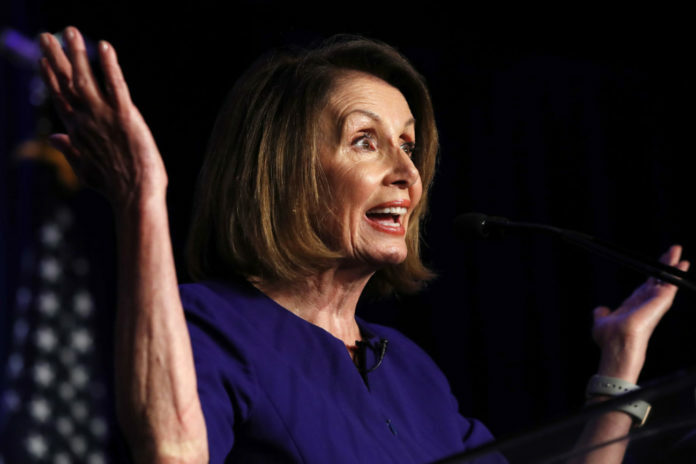 The two other Valley congressmen, U.S. Reps. Henry Cuellar, D-Laredo, and Vicente Gonzalez, D-McAllen, voted in favor of Pelosi, but leading up to Wednesday, they had a few hesitations that Pelosi seemed to settle. In a letter to colleagues on Tuesday, Cuellar said he and Pelosi have disagreed “on more issues than I can count,” but he has gotten to know and respect Pelosi’s fundraising prowess and her support of diversity of ethnicity, religion, gender and opinion. Vela doesn’t believe Pelosi will win the speakership in January.